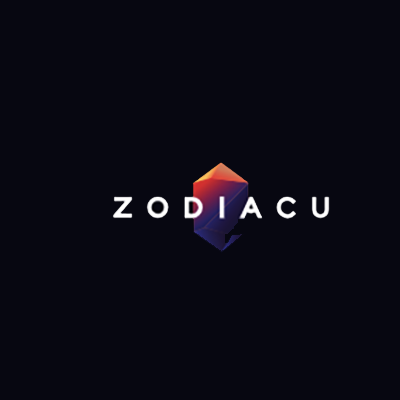 Zodiacu Casino is themed around the ancient craft of astrology and offers a modern online casino with clean cut visuals. To enter your registration details, you are invited to activate your star sign and sign in. 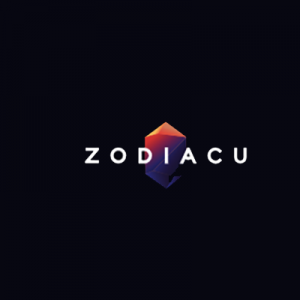 With very creative features like the Wheel of Zodiacu and Star Dust and the Oracle, Zodiacu steps away from the norm and builds on a very attractive gaming environment with interesting features. When players sign in they get assigned an Avatar reflecting their star sign and in a lovely move towards creativity, the more you play and enter tournaments the more Star Dust you earn. Then you can visit the Star Dust Shop where you can exchange Star Dust for no wager extra spins. Established only in November 2017, the casino is still very young but already have well over 600 casino games supplied by the best software providers in the business, including Microgaming and Play ‘n Go. Operated by EveryMatrix Ltd, a reputable Maltese gaming provider that maintains offices in Asia, Europe and North America, the casino is multilingual and offer support 7 days a week. Zodiacu is licensed by the Malta Gaming Authority and the government of Curacao, with the UK Gaming Authority license still on its way. Read our review to find out more about this charming new casino. Playing at the Zodiacu casino means that you will be placing your fortune in the hands of your guide, the Oracle, the senior keeper of cosmic wisdom. Get to know the Oracle and you will raise your levels and get real rewards. Participate in daily and weekly tournaments and he will impart his great knowledge upon you, offer predictions and give you rewards and great gaming tips. Your 1st deposit bonus: 100% match up to €200 and 200 extra spins (20 per day for 10 days) on Book of Dead Slot. Your deposit pack bonus is offered immediately after your first deposit and the rewards are valid for 10 days. Winnings are capped at €3,000, and extra spins have to be wagered 30 times before withdrawal. The Bonus funds can be released after completion of the 30x the bonus plus deposit wagering requirement. Level up regularly, complete your daily tasks and participate in tournaments so that you can get your Star Dust reward for more extra spins with no wagering requirements. A minimum deposit of €25 is required to fund your account and cash out is a minimum of €30. Zodiacu prefers European currencies and payments allowed are EUR, SEK and NOK. Withdrawal limits range between €5000 per day to €50,000 per month. You can withdraw your funds within 24 hours with EWallets. Debit and credit cards take 3-5 days and bank transfers have a waiting time of 3-7 days. Cheques are not offered and pending time is between 12-24 hours. Zodiacu is a very new casino and as of today’s date still don’t have a live casino and neither table nor card games. What they do have, however, is an abundance of slot games. There are hundreds of them neatly sorted into categories such as Video Slots, Classic Slots, 3D Slots and Jackpot Games. Their most popular slot game is Starburst which perfectly fits in with their theme and also delivers some of the most fascinating spins in the slot world. Other very popular slots include Play ‘n Go’s Book of Dead, BetSoft’s Birds and Microgaming’s Immortal Romance. They also have enough Progressive Jackpot games to keep you delighted like Mega Moolah, Major Millions, Treasure Nile, Mega Fortune or Hall of Gods. Outside of the slot games, Zodiacu offers various types of lottery games and scratch cards. The casino features a self-rewarding system that is based on Star Dust complimentary points accumulated at every wager. Star Dust is the currency at Zodiacu and it’s interchangeable for extra spins at various games. At different levels, players get Star Dust points for completing daily tasks, entering and winning tournaments and more. The Star Dust shop is where you can exchange points for extra spin packs of different amounts and values. Spin the Wheel of Zodiacu for some more great opportunities. The wheel is charged with magical mystical energy and while you play your star sign and nature’s four elements, you will accumulate more Star Dust. If you manage to spin five times in a row, you’ll get the Mega Spin where you will win even more Star Dust and maybe if you’re very lucky, even real money! The Wheel is a place of great opportunities. It charges with mystical energy while you play. Spin it and your sign and nature’s four elements will help you win Star Dust. Spin five times in a row to get a Mega Spin and win more Star Dust and even real money! As a very new casino company, for now it’s fairly limited to easy playing. However, its exceptionally mobile friendly and apps are available for download for smartphone, iPad, Android, iPhone, tablets and even smartwatches. The mobile experience is made very simple by recognizable icons, expandable drop down menus. This is the perfect place to play from home or during a busy commute on the bus or train. There’s nothing better than taking to the stars on your mobile, tablet or even MAC or PC to pass time. Via their mobile browser, players can access all the slots available from NetEnt. Zodiacu is licensed by the Malta Gaming Authority, considered to be the most popular European Facing Regulator. They are responsible for regulating online gambling and issuing operators with licenses so that they can operate from their region. Zodiacu is also regulated by Curacao, a very reputable license issued to new gambling companies. Zodiacu are committed to responsible gaming and take their responsibility at endorsing customer care and social responsibility very seriously. They endorse self-exclusion and gaming limits and have dedicated a whole section on their online casino website to helping gamblers battle their addiction. 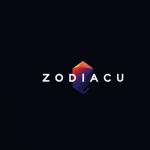 Zodiacu online casino was launched just a little over a year ago and it is so feature packed and so creative that it already making casino players across the globe very happy! The format is a little different than the norm in that it is formed around the theme of the zodiac system. Based on the notion that many gamblers are superstitious by nature and tend to follow their horoscopes, this online casino with a super slim and stylish design offers a very generous and welcoming bonus. Creating an online casino that picks up data from your date of birth and runs alongside your star sign is a great way to draw in those who enjoy gambling by following their horoscopes, and surprisingly there are many and they swear it works for them! But even those who don’t lean towards astrology and find the concept gimmicky have said they enjoy this light hearted casino. They don’t have any live dealer games, and no card games or Roulette variations. Blackjack, poker and baccarat are also missing and the lack of these games is notable, but it is such a new casino that hopefully very soon the operator will add the classic casino favourites very soon. If you are a slot fan or enjoy games such as Monkey Keno, Keno 3, Triple Challenge Hi Lo, Mayan Bingo, Germinator and Bubble Bonanza, then the stars are in your favour. A very promising brand designed with high tech in mind and very bonus driven, this casino has a lot of social interaction and is very user friendly. It is very personal and extremely creative making it a fun and interesting environment. Exactly the right kind of place to log into after a hard day’s work or to escape the daily grind and just get away from it all.